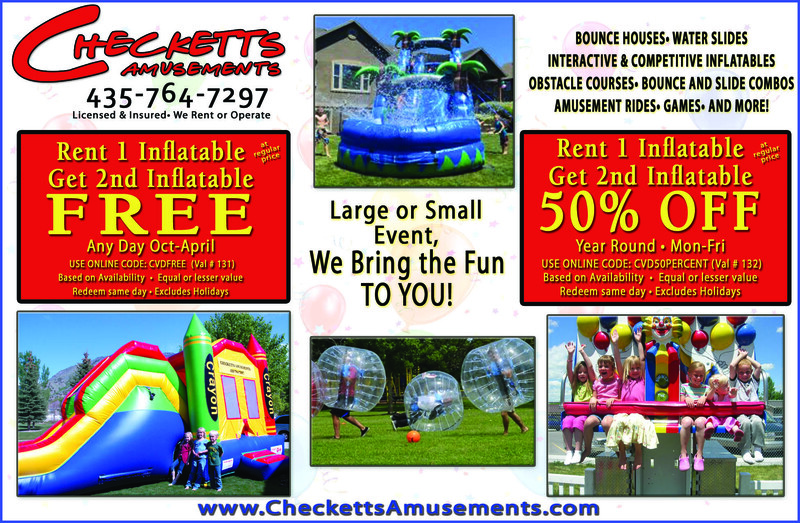 Rent 1 Inflatable Get 2nd FREE Any Day Oct- April (val#131) (Online CVDFREE) Rent 1 Inflatable Get 2nd for 50% OFF Year Round (val#132) (Online: CVD50PERCENT) Based on availability. Equal or lesser value. Must be redeemed same day.